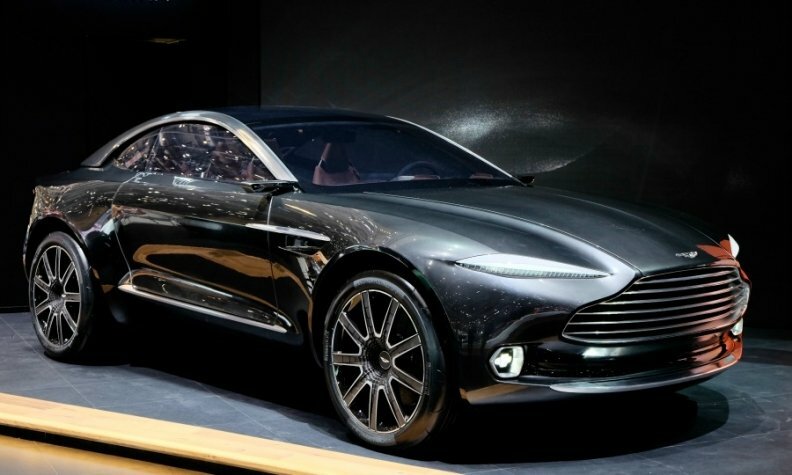 Aston Martin is investing to build the DBX crossover, which will be based on a concept unveiled at the 2015 Geneva auto show (shown). LONDON -- Aston Martin made a pre-tax loss of 127.9 million pounds ($172.03 million) in 2015, the fifth consecutive year the company has failed to make a profit, as the number of cars it sold fell and as it invests in expansion. In 2014, the company reported a pre-tax loss of 71.8 million pounds. The automaker said today that it had sold 3,615 cars last year, down from 3,661 in 2014. CEO Andy Palmer told Reuters in October that he expected volumes would be "slightly above" 2014 levels. The company said today it expects sales this year to broadly match those of 2015, but sees a rise of about 20 percent in core earnings as it begins sales of its new DB11. The company is also investing heavily to build a new DBX crossover model at a new facility in Wales as part of plans to widen its appeal beyond traditional sports cars.